Sometimes I can't help but hum the song from the Rolling Stones to myself when people request graphic material from us. Everyone loves to see photographs of the past, and photographs of our bishops, parishes, priests, and various events to can help bring Toronto’s early Catholic history to life. Unfortunately, we don’t always have photographs and portraits people are requesting. Photography was not accessible, never mind affordable, for most people until the late 1800s, when photography equipment and techniques drastically improved. Finding visual documentation for the history of our Archdiocese is therefore a bit of a challenge. If you’re a follower of our blog you have probably seen his portrait before. 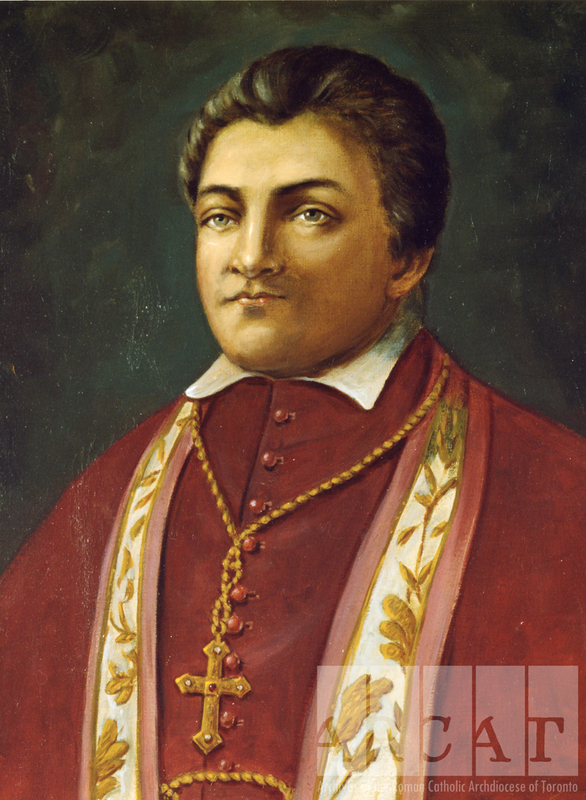 Bishop Power died in 1847, before photography was popularized. And the portrait was painted in the 1930s, well after Bishop Power’s death. Although it’s beautiful, it’s never stricken me as exactly the most realistic portrait there is. 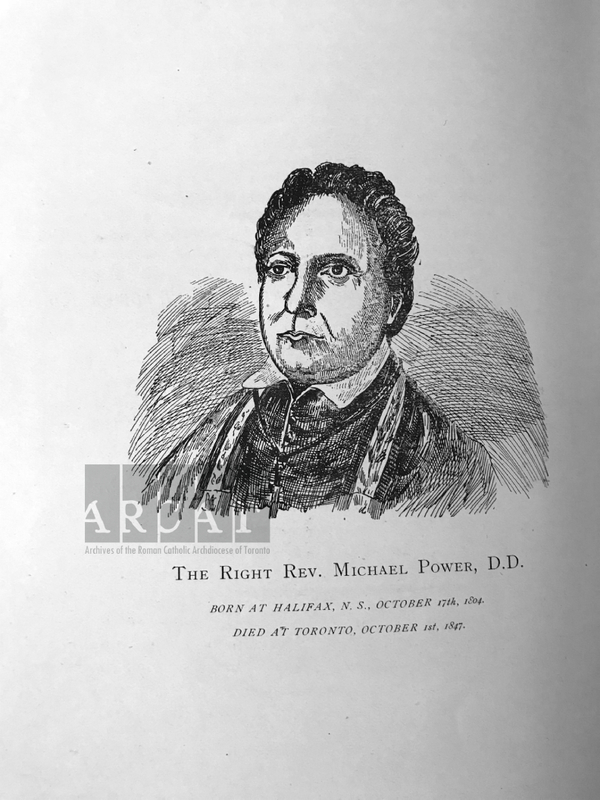 There is nothing else we can really pull from our archives when we're asked for publishable graphic of Bishop Power. We know of two other portrayals of Bishop Power that we found in books in our reference library, but unfortunately don't know who owns the originals, or if the originals still exist for that matter. And both books were published well after Bishop Power's death, so we don't know where the illustrations came from, when they were created, and how accurate they are. 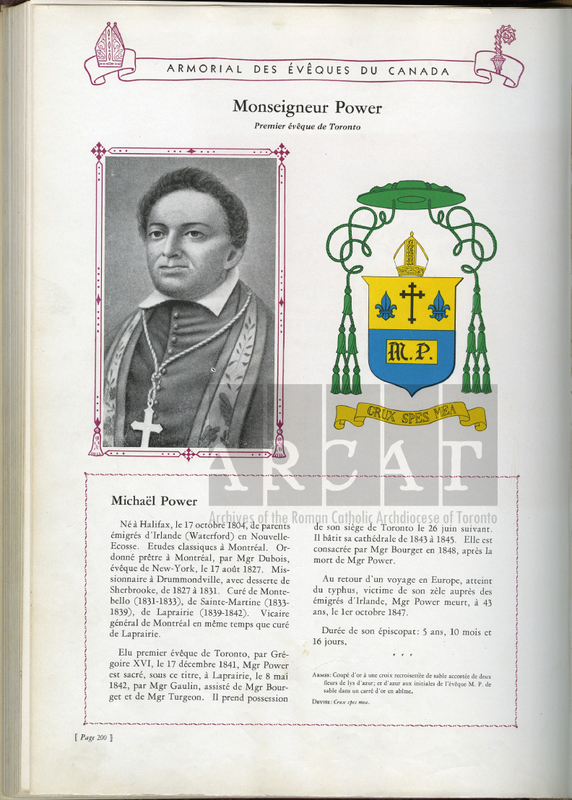 There are similarities between all three portraits of Bishop Power, and maybe through comparison we can better visualize what he would have looked like. The illustrations we have, or rather don't have, for Bishop Power extends to other people, landmarks and subjects from our early days. While we will try to find something when we're asked for a photograph, sometimes, you're going to be disappointed.